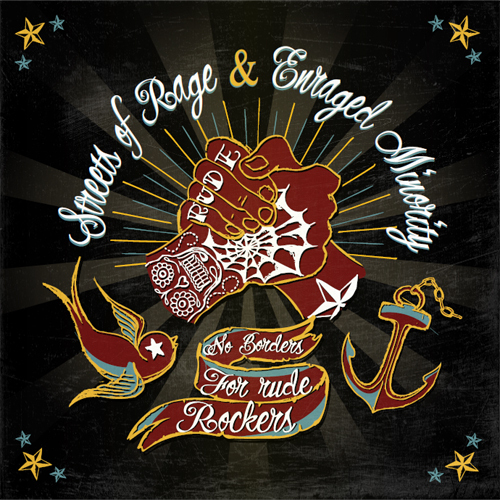 „No Borders For Rude Rockers“ – is the name of our upcoming split EP with Streets Of Rage! On this 7″-Vinyl you will find two of our new songs called „Chosen Family“ and „Rude‘n'Rebel“. Streets Of Rage contribute their songs „Stay Rude“ and „East Side Pirates“. The split will be released very soon by Mad Butcher Rec. in Germany, Casual Rec. and the AK54 Crew in France and KOB Rec. in Italy. Du browst gerade in den ENRAGED MINORITY Weblog-Archiven nach dem Monat April 2012.